Sunday night I enjoyed a little frozen paradise on the Island. And of course when I say Island I mean Long Island. My frozen treats were Daily’s Cocktails and I couldn’t wait to try them. I loved the idea of a no mess frozen drink. Like a kid waiting for ice pops to freeze I waited for my frozen drinks to be ready. I had big plans for the evening. Of course like most of my plans for relaxing on the weekends they fell by the waste side. After Mass and breakfast it was already early afternoon. I even played hooky from Caroline’s soccer game so I could get all my weekend chores early. My thought was get everything finished and get ready for Monday morning madness and then put the kids to bed. After my husband and I could enjoy a little island paradise with some frozen cocktails. You know snuggle on the couch put on some reggae music maybe… I have quite an active imagination. I think I watch way too much tv. First mistake was trying to do too many things. And honestly my to do list is so long I could never finish it in one night. It’s like a never-ending pasta bowl from Olive Garden. It never seems to get any smaller only bigger. The good news was it was so worth it! The Daily’s Cocktails were awesome! So easy and they tasted great. It’s pretty great to be able to enjoy a frozen drink in the comfort of your own home and for way less then it would cost if you were out at a bar. I bought them for less than two dollars a pouch. 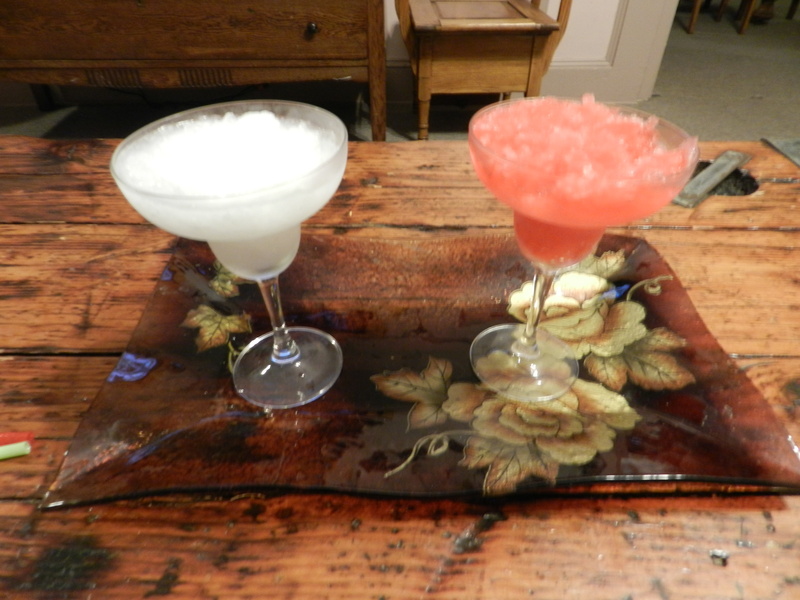 My favorite was the Pina Colada and my husband’s was the Strawberry daiquiri. Both were delish! I can’t believe how easy they were. Freeze- Squeeze- and Enjoy! It really was that simple. There was no mixing or blenders or even clean up involved. All I had to do was throw out the pouch and wash the glass. The alcohol is already in the pouch. All you need to do is freeze for 8 hours. Technically you could stick your straw in and drink it out of the Capri-Sun like pouch. They were so refreshing and tasted great. These are five ways to enjoy Daily’s Frozen Cocktails and keep summer alive this fall. 1.) Watching your favorite shows on television- I ended up ditching the football game and watching the premiere of Revenge in another room. 3.) Hostess parties like Pampered Chef or PartyLite Candles. Frozen cocktails will definitely liven up your party. 4.) College style with a pouch and a straw. This entry was posted in Food & Snacks, Life and tagged Capri-Sun, Cocktail, Daily's Cocktails, Eat and Drink, frozen cocktails, island paradise, Long Island, Olive Garden, Pina Colada, Strawberry Daquiri. Bookmark the permalink. Well definitely add frozen cocktails to your list! I think they would be perfect for a PartyLite party!